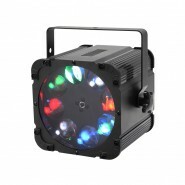 2-IN-1 SPOT & ANIMATION LED MOVING HEAD WITH DMX CONTROL MHSPOT30-FX Particularly dynamic moving head featuring a rin..
A new version of the Derby effect fitted with CREE led's, that splits the light into numerous smaller bundles and fills the room w..
16 / 45 DMX channels 8x 12W 4-in-1 RGBW LED Individual control of all LEDs and all heads Infinite Pan rotation Every .. 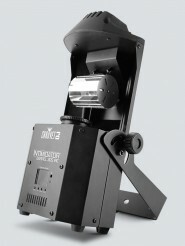 Unique 3-sided light effect fitted on every side with 3x fast scanning CREE LEDs. 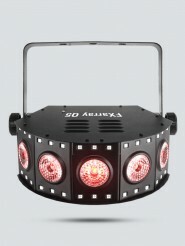 Triple mult-beam effect with 3 mobile element..
Astro: 4 x 3W RGBW LED Gobo: 4 x 3W RGBW LED 8 DMX channels Auto, master-slave, sound or DMX controlled operation Disp.. 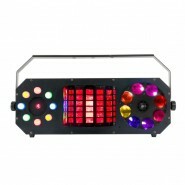 The Stratos Duo RGB is a bright LED colour panel that comes with 288 x 10mm LEDs and is ideal for use as a stage light. The arrang.. 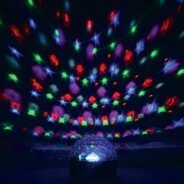 LED Moonglow Light Effect Tabletop LED light effect with 6 x 1W LEDs producing coloured beams which are diverted through a ri..
4BAR LT USB 4BAR LT USB is a complete wash lighting system with D-Fi USB compatibility for wireless Master/Slave or DMX contr..
Gobo Starwash Multi Light Effect Compact 3-in-1 light effect with 5 moving colour gobos, 5 LED colour washes and 2-colour multi-p..
Wireless Remote Controller & 2 Year Warranty ! 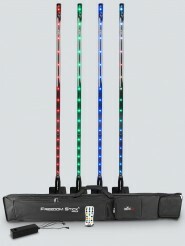 Freedom Stick Pack Freedom Stick Pack Includes: 4 Freedom Sticks, 1 Multi–Charger, 1 IRC-6 Remote and 1 Carrying Bag. 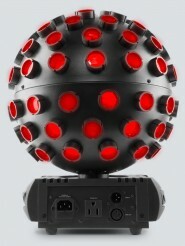 Freedom ..
Rotosphere Q3 Rotosphere Q3 is an easy to use mirror ball simulator with high-power, quad-color LEDs. 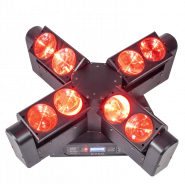 3 LED zones emit up to 3 di..
Mushroom Mushroom is a classic plug-and-play effect light that generates hundreds of sharp, multi-colored beams. Built-in automat.. 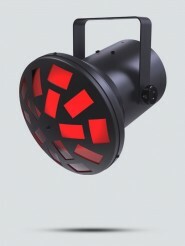 This high output moonflower is powered by a 60W Osram Ostar™ quad-colour RGBW LED. 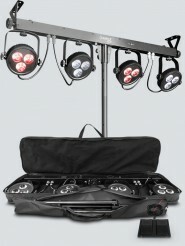 The high-tech Shard produces an intense array o..
QTX Gobo Derby 4-in-1 LED Effcet Light Multi-effect lighting unit based on an LED Derby effect with multi-beam gobo images, twi..
Wash & Eye Candy Effect with Ultra Violet ! 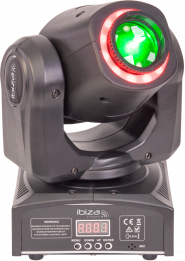 WASH FX 2 Wash FX 2 is a multi-purpose effect light with 18 Quad-color (RGB+UV) LEDs that can be used as a regular wash light o.. 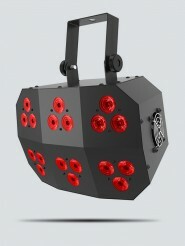 Put some “BOOM” into your lightshow! 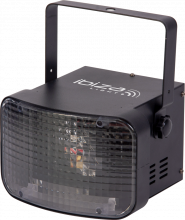 Create pure lighting excitement for any event with the 4-FX-IN-1 ADJ Boom Box FX2. Cover the .. This room filling effect features 8 gobos that sweep the room whilst changing colour. The unit works well as a stand-alone centrep.. The Intimidator Barrel 305 IRC is a compact LED barrel scanner with a 60 W light source that shines through any environment. 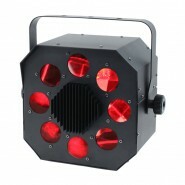 Its c..
FXarray Q5 is an exciting and versatile quad-color LED wash light. 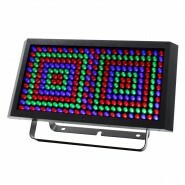 It features an array of RGB+UV LEDs to spread light evenly acro..